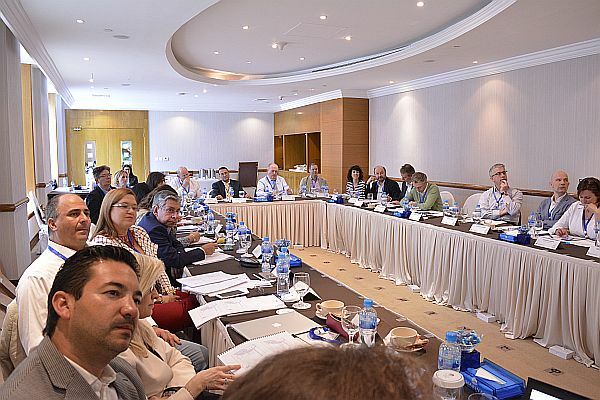 The 16th Eurocom Worldwide Annual Conference held on 17th March 2017 attracted 29 agency leaders from across Europe, Latin America, the Middle East and Asia to the global city of Dubai, UAE. This year’s event focused on key issues facing the global PR industry, including the changing role of communicators, digitisation and the growing importance of metrics, and provided a platform for members to further develop relationships and co-operation with partners from around the world. Guest speaker Jerry Silfwer, CEO & Digital Strategist at Spin Factory in Sweden, led a content marketing masterclass, offering delegates his specialist insight into what is probably the most important PR industry development of the decade. Schwartz Public Relations, based in Munich,Germany, received the Eurocom Worldwide Agency of the Year 2017 award for their outstanding engagement and contribution across the network over the last year.In addition, both GrupoCASA in Brazil and Orient Planet in the Middle East were recognised for 10 years of successful cooperation and contribution to the network. The conference was hosted by Eurocom Worldwide's Middle Eastern member agency Orient Planet Group, whose dedicated international team showed the high standards of professionalism that is so typical of Dubai’s entrepreneurial community.